There is so much history in Concord, MA, the town is filled with remarkable stories and transformation is only the norm. Like many projects done in the surrounding area, this local Concord home has become another example of what Everlast siding can do! This was a complete transformation that not even Henry David Thoreau could have passed over. The home had old wood siding that was just due for a makeover and a warm welcome to the new modern standard of living. The old siding and trim required an entire strip down and demolition. 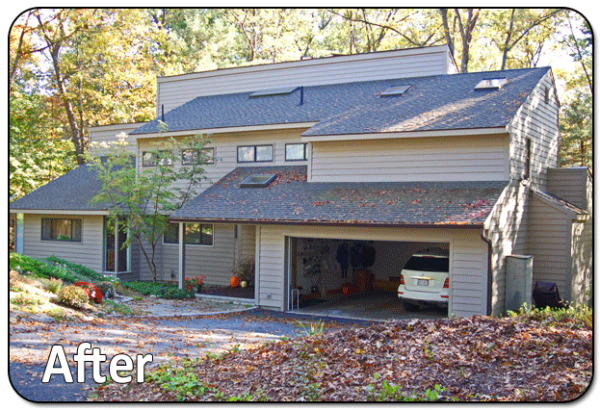 The homeowners thought about installing Fiber Cement originally, but soon after being introduced to Everlast Composite siding, it was clearly a better choice for their home. They chose the 7-inch Misty Taupe Everlast Composite for the entire home, and saved some money by revitalizing most of their existing trim with a prep and paint. Not all homes require a complete renovation and we are happy to help you determine the best way to make Everlast fit your budget. The home in itself has a contemorary look that was a perfect fit with Everlast Composite siding. 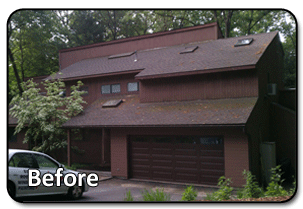 The owner's of this home couldn't be happier with the new look of their home. If Thoreau was still around, I think he would ditch his cabin for this gorgeous home.